My Toyota car having Vibrations, Do I need Shocks/Struts? When do I need shocks is a question I get repeatedly, and there is a relatively simple answer. When you have a bad or faulty shock/strut, the vehicle ride quality goes down the toilet and the vehicle will bounce all over the road when you hit a significant dip, hump, or bump. 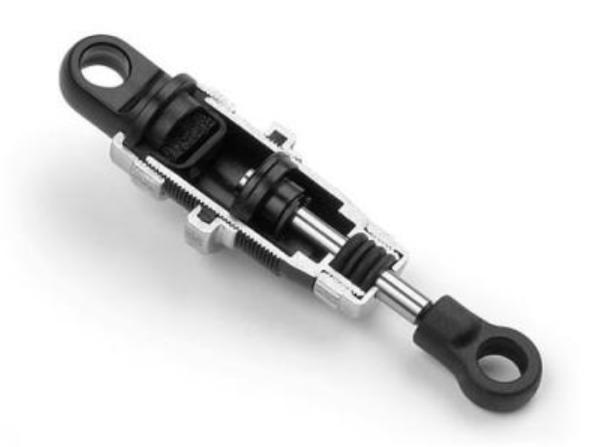 A lot of mechanics will try to sell the customer shocks or struts when there is the slightest bit of leakage, but Daks Toyota says if the strut or shock is still doing their job properly, there is no need to rush into changing them, leaking or not. Strut and shocks are filled with oil or Gas and dampers, the oil /gas softens the bumps, and the dampers stop the vehicle from bouncing. What’s the Difference Between Struts and Shock? In the picture above, notice how the shock is mounted outside the coil spring. 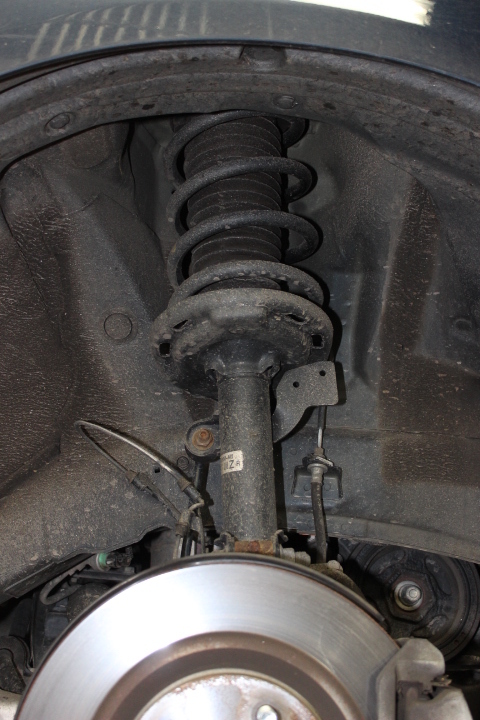 In the picture above, notice how the coil spring is part of the strut assembly. 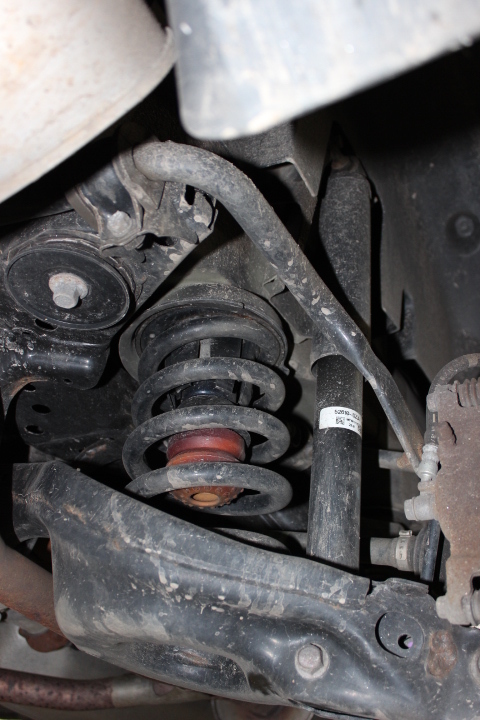 Shocks and struts are pretty much the same part; the only difference is a strut has a coil spring mounted to the outside of the unit and a shock stands alone with the spring separate. On the inside, struts and shocks are built the same, with dampers and oil / gas, and they perform the same job, so calling it a shock absorber pretty much covers all the bases. Can a Bad Shock Absorber Ruin a Wheel Bearing? Another question I get a lot is; Can a bad or leaking shock/strut cause a wheel bearing to go bad? And the answer is No! A bad or leaking strut or shock will give your vehicle poor ride quality, but it can’t ruin a wheel bearing. If you have ever see a vehicle going down the highway bouncing continuously after hitting a bridge expansion joint, you are witnessing someone who’s driving a vehicle with blown out shock absorbers, they should be asking, Do I Need Shocks? In my opinion, driving a vehicle with bad shocks or struts can be dangerous because you cannot control you vehicle from bouncing. If you were to hit a large dip or hump in the road, your tires could literally leave the pavement and cause you to lose control of your vehicle. So if you notice your vehicle not holding to the road well, it may be time to replace your struts or shocks. Come purchase original and perhaps service from Daks Toyota Service Bay. Do I Need to Replace Shocks in Pairs? This is a good question, and my answer is a question, Can you afford to replace shocks in sets of two? I recommend replacing shocks in sets of two, front’s, or rears, not left side or right side. When you replace the shocks in pairs, it keeps the ride quality balanced, but if you cannot afford to replace two at a time, you can get away with replacing just the damaged one. It’s very uncommon to replace all four shocks at once, first of all, it’s rare to find all four shocks damaged at the same time, and second, the cost would be a big nut to swallow. So if your mechanic says you need all four shocks replaced, ask them to show you why, it should be pretty obvious, because if that were true, I think your ride quality would have tipped you off. These Shock Absorber Videos Are Great! The picture in this video doesn’t do the video justice, it’s actually a great video on how to bounce test your vehicle and test your shocks. This guys shocks are completely blow out in the rear and could be very dangers if he hit a large dip or hump. Always Come to Daks Toyota as we answer the most complicated of all your answers with our midas touch. Useful knowledge. You have correctly explained all the knowledge here about Struts and Shock . I must appreciate you for your knowledge. This is helpful. Thanks for sharing.